Are you looking for green home builders? 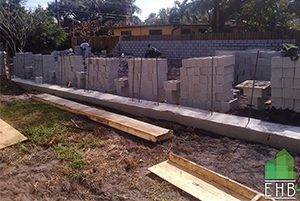 At Eco Home Builders we are experts in custom building new green homes in the Florida area. Our eco-sustainable homes have attributes in terms of energy-efficiency, that would meet the required standards to be a designated “green” home. What makes a home a green home? A LEED certification ensures a home under the U.S. Green Building Councils. Through the proper inspections, and after meeting the global standards, your home would be denominated an ecologically and sustainable design and construction home. Low toxicity in the use of building materials ensures an environmentally friendly home. This should include a low VOC (volatile organic compounds) in the paints, including any epoxies and sealants used in the interior house walls and exterior facade. 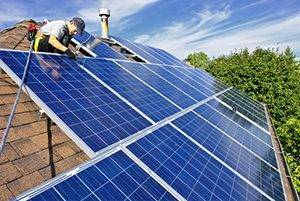 Home solar panel systems are a source of low-cost eco-sustainable way to save in electricity. Usable for all household needs this can turn back an electric meter, resulting in more energy savings. Water conserving plumbing fixtures save on water consumption including low-flow shower heads and dual-flush toilets. Top of the line faucets and other fixtures will also ensure a long life of savings. A biodegradable, non-toxic insulation foam in the exterior walls and ceilings will prevent any heat loss keeping comfortable indoor temperatures without intoxicating your breathable environment. Energy-efficient windows: Low emittance coatings on windows blocks radiant heat transfer, keeping your Florida home cooler in summer. High-Efficiency air conditioning and appliances will provide cost savings and a clean air environment. Energy Star appliances use 20%–30% less energy than other brands. This translates to cost savings and less greenhouse-gas emissions. Smart landscaping using native plants will require less water and lower maintenance. An outdoor irrigation system should save water by using timers and rain sensors preventing them from deploying when not needed. Underground propane tanks is a cost-effective source of clean-burning heat as well as tankless water heaters providing an efficient usage of your heating dollars. Are you ready for your dream Green Home? Request a free quote today! For more details call us today at 954-665-0852 or visit our click HERE and fill out a quick Form! Green Home Builders	Overall rating:	5	out of 5 based on 8	reviews.